The dawn of a new decade! (Unless you're a pedant and propose waiting another 12 months.) New resolutions, new dreams, new aims! I really must make an effort to get Brafferton finished by 2020. 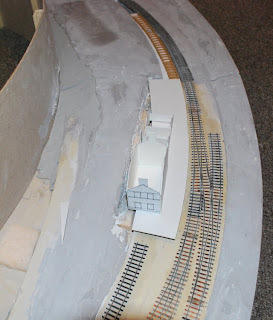 (Diamond Jubilee Layout Challenge, anyone?) To have it something like presentable by July would be a great bonus and progress is currently steady but sure. To alleviate the boredom of wiring, I'm also pushing on with the scenics. 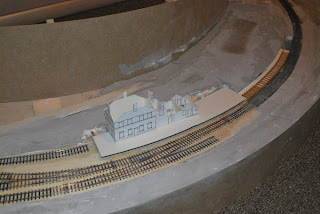 The station buildings need resolving; there is not a scrap of the original buildings remaining and I have three photographs all showing much the same detail all at oblique angles.